ServiceM8 Forms are a digital tool which are a very powerful feature of this amazing software, available at such an affordable price to tradies and service-providers worldwide. They are set up in the background in your ServiceM8 account and are connected to job cards. When you complete a form within a job card, it is capable of gathering information from not only the job card, but custom fields (if you use them) and also specific questions connected to the form itself. 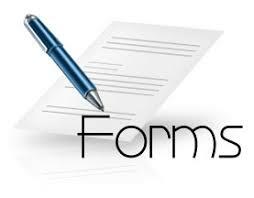 You can also capture signatures of those present (clients for example) during the completion of the form. Once completed a beautiful PDF is generated which can either just sit on the job file, or be sent to your client or anyone else from within that job, and will remain there for future reference. Contact Fippet… we are happy to discuss your requirements, and if it is something we can develop for the form store, we will only charge you what the form will retail for online….